If you’ve logged in to your Windows 7- or Windows 8-based computer this morning, you may have seen a Windows notification in your System Tray. 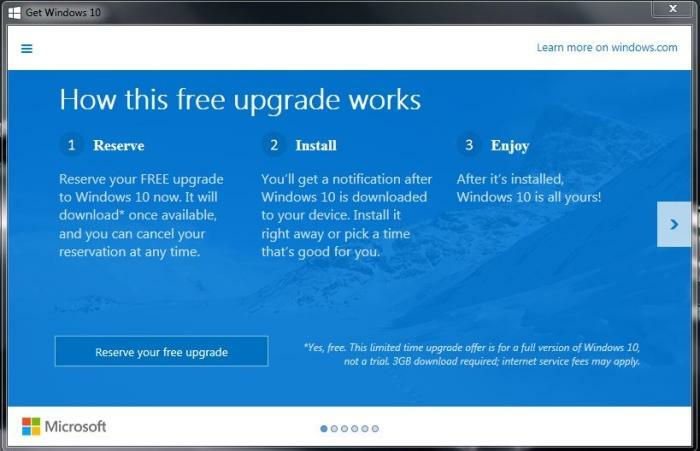 Clicking on this notification produces a screen that explains how you can reserve your free upgrade to Windows 10. But what does that actually mean? 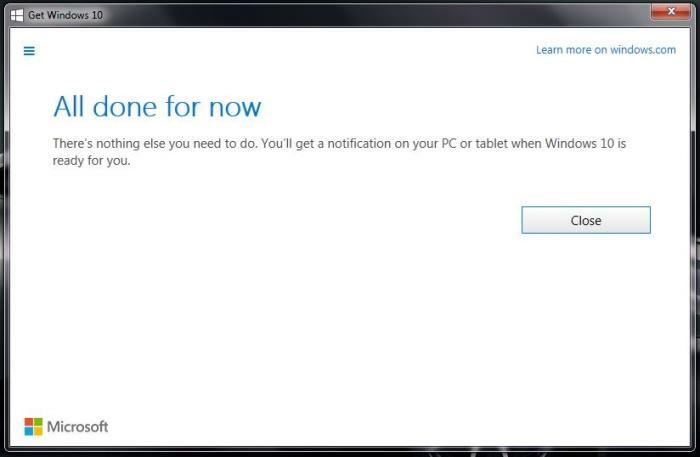 All this notification does is bring up a window from which you can allow the Windows 10 upgrade to commence, when the time comes. It ensures that all the files required for the upgrade are gathered ahead of time so that the final installation after 29 July doesn’t take too long. The final product is about 3GB, so we’re assuming most users will want to use the reservation to their advantage here. To quote from Microsoft’s Web site: “Between reservation and when your upgrade is ready, the files you need for the upgrade will be downloaded to your PC to make the final installation go more quickly. 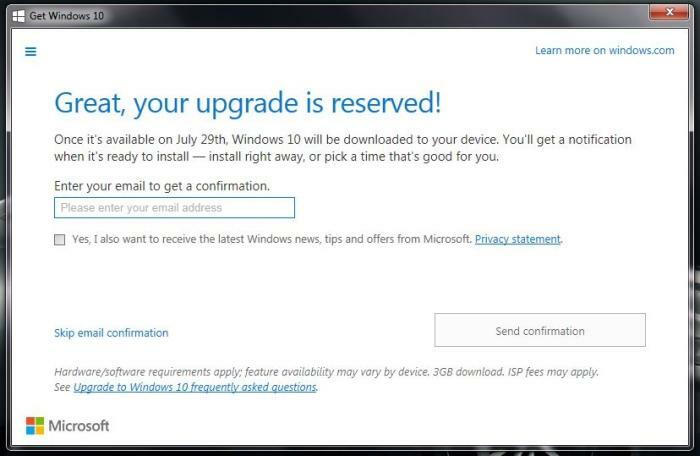 Then, when your upgrade is ready after July 29, 2015, you get a notification that lets you get started with your upgrade”. 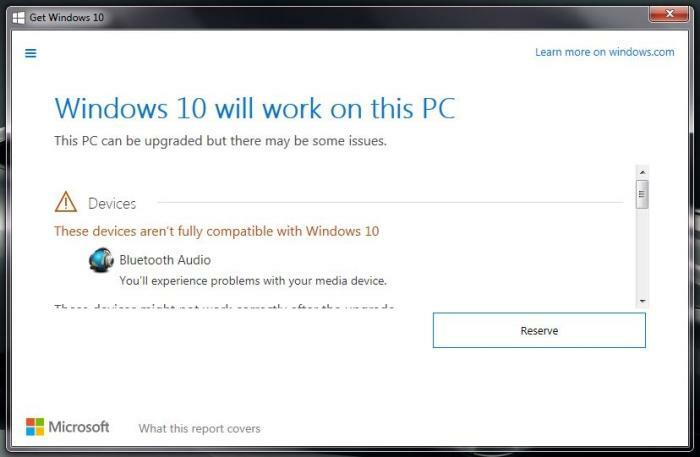 You can perform a check on your system to see if it’s compatible with Windows 10, and during this check you might notice that some components are shown to be incompatible -- such as the Bluetooth Audio on the Samsung Series 9 laptop that we tried it on. After enabling the Windows 10 upgrade, you can elect to receive a further notification of the upgrade via email, or just dismiss that screen.